A Walk to the Forest Warden's House is a participatory workshop which aims to open up personal narratives of places of interest and generate new perceptions of locations within Helsinki through the act of walking. Over the course of the project, participants are invited to discuss and submit locations and a walking route of the city will be created. The following week, personal histories of the locations will be introduced as an interactive walking tour. A new photo of each location will be taken and at the end of the walk, comparisons between old and new will be discussed. 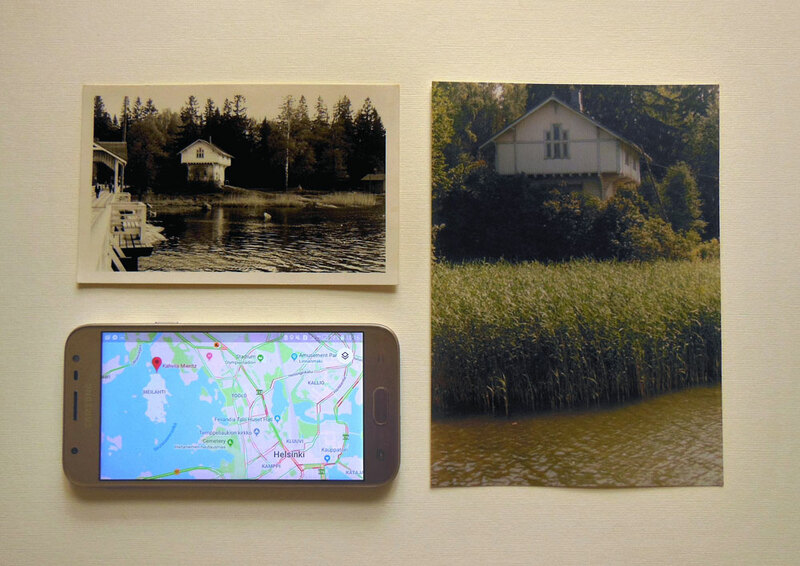 The inspiration for this workshop came after I found two family photographs taken 40 years apart of the Forest Warden's House on Seurasaari island. The first photo, taken by my grandfather in 1959, represents my own family migration history as my grandparents lived in Helsinki for a number of years. The second was taken in 2004 by my father during his first visit to the place after being born there. This location will be included as the last point of the walk where I will be able to take the third photograph as the next generation. If you have an idea for a location, please read the location criteria instructions below and send your submissions to info(at)sophiefoster(dot)org or do it personally at Third Space by joining the WORKSHOP PART I on the 8th and 9th September between 10:00 - 17:00. Hidden gems or local spots (e.g. a popular local spot that you would take a friend visiting your community for the first time, a popular spot where locals gather and tourist spots. Include a description: with reasons why you have chosen this location. Attach a photo of your own: The photo can be from any time period however it must have been taken during the day and at a reasonable distance so that it gives an idea of the scale and placement of the location. Provide a detailed title to identify the location: If possible, use the location's official title rather than titles like Historic Building or Street Art. Include the correct latitude and longitude coordinates: This can be obtained through Google maps/Earth. Email your submissions: to info(at)sophiefoster(dot)org ​with the email title: The Forest Warden's House - Location Submission. Locations must have SAFE PEDESTRIAN ACCESS and cannot be locations on PRIVATE PROPERTY. Locations must be MAN-MADE and not be NATURAL FEATURES without a man-made point of interest -plaque, sign etc (This includes landscapes such as lakes, rivers, streams, mountains etc). The location must be a PERMANENT fixture and not a SEASONAL DISPLAY that is only put up during certain times of the year. Locations must be within the walking parameters of THIRD SPACE, Tarkk'ampujankatu 18 (60°9'38.83"N 24°56'32.97"E) and KAHVILA MIERITZ, The Forest Warden's House, Seurasaari (60°11'9.07"N 24°53'4.24"E). 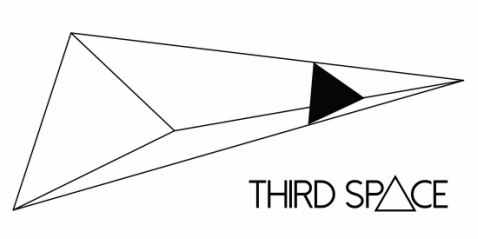 A public art project in association with Third Space, Helsinki and the European Cultural Foundation location criteria adapted from Niantic Inc. (2018). Ingress Candidate Portal Criteria. Last accessed 21st July 2018. After completing a Combined Honours degree at Newcastle University UK, Sophie remained in the city working as a contemporary artist and arts educator within the lifelong learning sector. She accomplished her first solo exhibition Transitions: At a Snail’s Pace (2012) with the National Glass Centre in Sunderland and was awarded a residency at Northumbria University (2013) working in their paper studio which resulted in a group exhibition Paper, Table, Wall & After (2015) at The Taiwan National University of Arts, Taipei. She is now currently based in Weimar DE, teaching at the Friedrich-Schiller-Universität Jena and studying an MFA in Public Art and New Artistic Strategies at the Bauhaus-Universität Weimar under Prof. Danica Dakić. Her work has since made a shift into site-specific performance and temporary intervention about narrative, identity, memory and place.